The official closing ceremony of the Greece-Russia Year of Tourism 2017-2018 will be held in Athens on November 23, the Tourism Ministry said on Thursday. 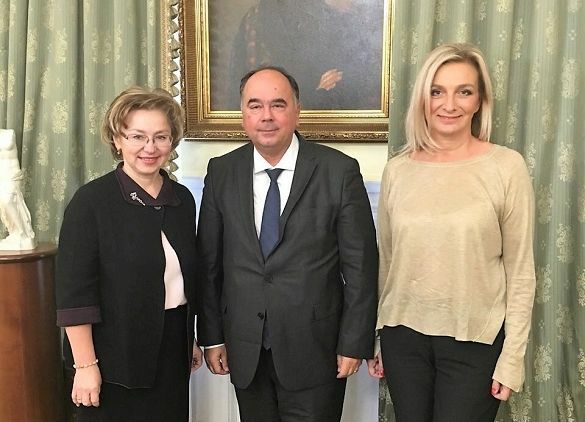 Russia’s new Deputy Minister of Culture and Tourism, Olga Yarilova with GNTO’s Russia & CIS Head, Polykarpos Efstathiou and vice president, Angeliki Chondromatidou. 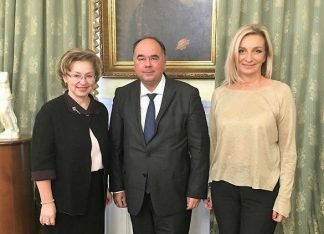 According to an announcement, the developments relating to the “Greece-Russia Year of Tourism” initiative were discussed in a recent meeting in Moscow between vice president of the Greek National Tourism Organization (GNTO), Angeliki Chondromatidou and Russia’s new Deputy Minister of Culture and Tourism, Olga Yarilova. 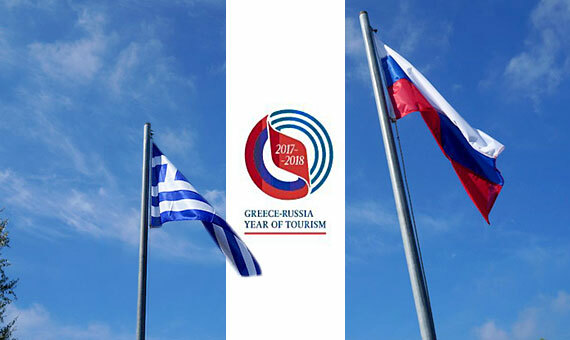 The Greece-Russia Year of Tourism 2017-2018 is an initiative of the tourism ministries of Greece and Russia that was inaugurated in 2017. The GNTO’s vice president is Greece’s head of the initiative. During her meeting, Chondromatidou discussed details involving the official closing ceremony of the Greece-Russia Tourism Year and explored future programs and actions of cooperation between the two countries. The GNTO’s vice president was in Moscow to attend the Greek-Russian Forum “Tourism. The Action of Convergence” with Tourism Ministry Secretary General Evridiki Kourneta. Greek Tourism Ministry Secretary General Evridiki Kourneta. 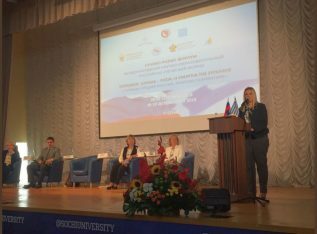 Held at the Sochi State University in the Krasnodar Region, the forum was held within the framework of the Greece-Russia Year of Tourism. 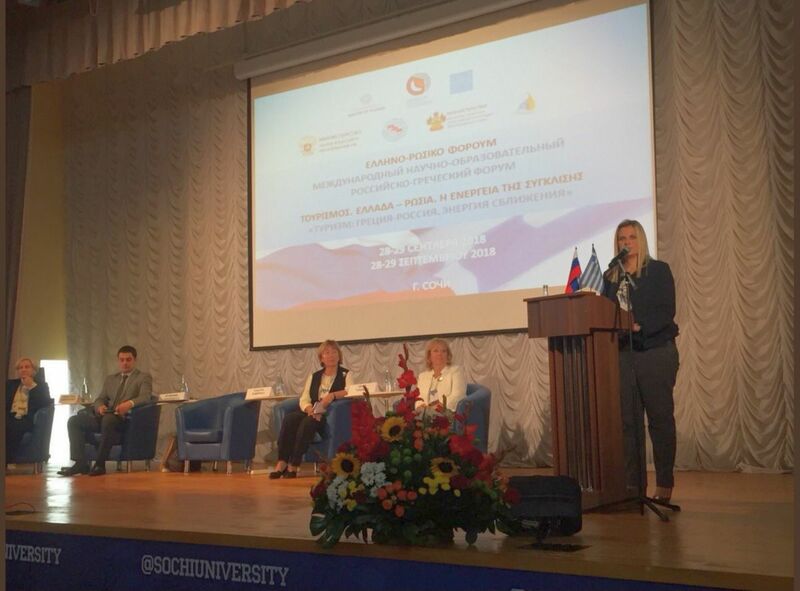 The forum focused on strengthening the Greek-Russian cooperation in the tourism sector in the next years. Kourneta represented Greece at the forum. “Cooperation between the two countries is compounded by important joint actions and initiatives that are in progress and bear fruit by enhancing the quality and breadth of relations and encouraging the exchange of tourist flows,” Kourneta said during the forum’s inauguration. The secretary general said that Greece and Russia are working together through concrete actions and initiatives to strengthen ties between Greeks and Russians. She underlined that both governments have strong political will to promote and deepen their strategic relationship in tourism with mutually beneficial results for both countries. 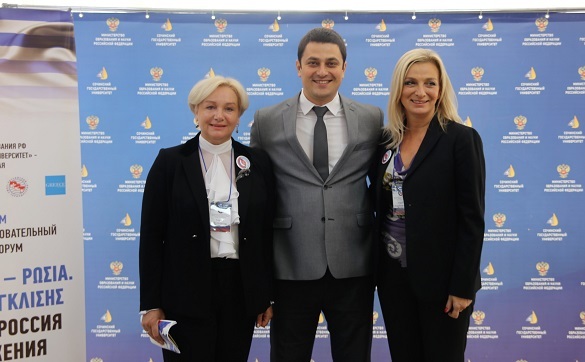 Sochi State University Rector Galina Romanova, Krasnodar Territory Minister of Resorts, Tourism and Olympic Heritage Khristofor Konstantinidi and GNTO Vice President Angeliki Chondromatidou. On the sidelines of the forum, Kourneta and Chondromatidou met with Krasnodar Territory Minister of Resorts, Tourism and Olympic Heritage Khristofor Konstantinidi and the chairman of the Greek Community of Sochi, Christos Sarakasidis. Moreover, the GNTO’s vice president met with Sochi State University Rector Galina Romanova and discussed the prospects for Greece and Russia to work together in planning and developing specific themed tourism products and programs focusing on cultural, educational, pilgrimage and gastronomy tourism.